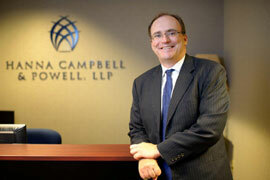 Brad joined Hanna, Campbell & Powell as a partner in 2013. He is a graduate of the College of Wooster and a 1995 graduate of the Case Western University School of Law. The majority of Brad’s current practice is focused on the defense of medical malpractice claims. In the past his practice also included the defense of other professional liability matters for attorneys, real estate agents and brokers, and insurance agencies. In addition, he has handled product liability, commercial, employment, and insurance coverage litigation. Brad has tried numerous cases in Ohio state and federal courts. He has also briefed and argued appellate cases throughout northeast Ohio. Brad frequently lectures on risk management and litigation issues. In 2011, he served as an adjunct professor at the Cleveland Marshall School of Law, teaching a 4-credit class on medical malpractice litigation. He enjoys public speaking and is happy to make presentations to clients and professional groups. Brad has also written on various legal topics. He was selected as one of the "Best Law Firm Writers of 2011" by the Burton Awards for his article entitled "Zippo and Internet Activity: The New Language of Personal Jurisdiction?" that was published in the Spring 2010 edition of the Defense Research Institute's In-House Defense Quarterly. Brad and his wife, Suzanne, reside in Stark County, Ohio. They have two children. Suzanne serves as a Staff Attorney on the Fifth District Court of Appeals for the Honorable Judge William Hoffman.